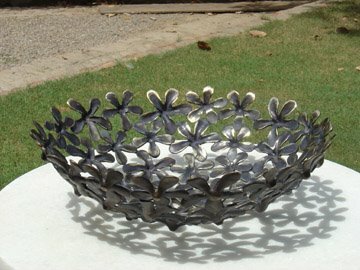 Cast brass flowers are individually brazed together to form the bowl, a somewhat labour intensive job. They have proved to be quite popular. nice to see ur champa lamp at mocoloco ! but tell me how do u get to R00st ?? Just happened to stumble upon your blog. Nice stuff!